Congratulations to Zeny de Guzman for being selected Woman of the Year! Women of the parish are invited to honor Zeny at the ACCW luncheon on Saturday, May 11 at noon at Chateau Ritz, 9100 North Milwaukee in Niles. The cost to attend the luncheon is $35.00. Please respond by Friday, April 19 and make checks payable to Charlotte Miciek. Commemorative bricks in the Choose Life Prayer Garden, just north of the church, are available to honor important people or times in our lives. The Spring sale of bricks is going on now through April 23. Size and cost information are on the order form which is available on the rack in the vestibule or from the rectory. Registration is ongoing for the 2019-20 school year. SCL offers a rigorous Catholic education tailored to the individual needs of each student. Academic excellence is one of the hallmarks of SCL: Students regularly score “ready” or “exceeding” on ACT/Aspire testing. They learn Catholic values and solid morals and experience many extra-curricular and enrichment opportunities to help them become well-rounded. If you are thinking about joining our SCL family and would like to talk with someone or arrange a tour, please stop by the school office or call 847-724-2240. If you’re an adult (18 years or older) who wants to make a difference by sharing your faith with children, then this note is for you! SCL’s Religious Education program needs Catechists! Come and join our Religious Education Ministry. Previous experience is not required. For more information, contact the Religious Education office at srnadiya@stcatherinelaboure.com or 847-724-2240, x1. Please put used inkjet cartridges in the bin in the church vestibule to help the SCL Religious Education program purchase needed supplies from Staples at a generous discount! God has cloaked us in bountiful love, and we can in turn offer our fellow parishioners an extension of this love. By considering a Planned Gift to St. Catherine Labouré, you can help ensure that our parish will continue to serve and grow in its mission. Please contact the Archdiocesan Office for Planned Giving as you prayerfully consider making a gift to St. Catherine’s. Staff members are happy to discuss with you some of the financial benefits as well as the process of making a Planned Gift. This office can be reached at 312.534.5396 or plannedgiving@archchicago.org. St. Mary of the Willows Guild of the SCL Women’s Club brings you the wonderful variety of Yankee Candles in their fundraising event this year. Available products start as low as under $10 and 40% of your sale is given back to the Women’s Club. Visit www.yankeecandlefundraising.com, enter group number 990095643, then click on “Start Shopping.” For more information, pick up a brochure in the vestibule or call Marcia Doeden at 847-724-1223. This year the golf fundraising committee needs some new members. You don’t need to golf or understand the game (very few of us do)! We need someone who can help with all the paperwork, such as tracking gift card donations, managing advertisement requests, preparing auction bid sheets etc. We also need someone who can use a computer to help those handling these tasks. Lastly, we would welcome committee members to help recruit golfers and hole sponsors. It would be great if you could attend our meetings but would understand if you don’t. We are a ‘divide and conquer committee,’ each with our own responsibilities. Our meetings last about an hour as members share progress reports and ideas. Please consider joining us. If you are interested, email sclplaygolf@gmail.com or speak with Janice Seipp, Kathy Snow, Marcia Doeden, Ray Kimoto or Shereen Olickal. Catholic Charities is looking for volunteers to help in the food pantry and clothing room at the office at 1717 Rand Road in Des Plaines. Volunteers are needed on Tuesdays, Wednesdays, and Thursdays during the day. If you can help, please contact Denise Yonkers at dyonkers@catholiccharities.net or 847-376-2101. Thank you! WINGS provides a pathway to independence for adults and children who are escaping from domestic violence and abuse. One service they provide is temporary housing for those who have escaped their violent homes. WINGS has some critical needs right now, especially medicine due to so many people within the shared living space getting sick. Please donate the following items to the designated basket in the church vestibule. Donate clean, gently used men’s and women’s designer apparel, fine jewelry, shoes, and handbags to Encore. Encore is a designer resale event for Catholic Charities Mary’s Closet program which offers professional attire and job readiness consultation to men and women who are seeking employment or beginning new jobs. Please mark all donations “ENCORE” and drop them off at Catholic Charities ,1717 Rand Road, Des Plaines or 721 North LaSalle Street, Chicago. You can also leave them at Relevant Radio, 145 South Northwest Highway, Park Ridge or St. Francis Xavier Parish, 524 9th Street, Wilmette. For more information or pick-up service, visit www.catholiccharities.net/maryscloset or email maryscloset@catholiccharities.net. Join us in special experiences of prayer during Monday Night Holy Hour at 7:00pm in Holy Family Chapel, as well as the Novena to Our Mother of Perpetual Help on the second and fourth Wednesdays of each month and the prayer meeting of the Grupo Da Immaculada on the last Sunday of each month at 2:00pm in the church. Care for parishioners who are sick is important to us. Please let us know what spiritual care is needed when by calling the rectory at 847-729-1414, option 3. In cases of hospitalization, tell the hospital staff the religious affiliation and parish of the patient. Finally, contact the hospital’s Pastoral Care Office at any time during a hospital stay. To request that Communion be brought to someone’s home, please call the rectory at 847-729-1414. Women who think they are pregnant and are in difficult situations come to the Women’s Center for help, an ultrasound and counseling. In 33 years of service they have saved over 39,000 women and their babies from abortion. Individuals and groups to clean, tag, and box bottles for their Spare Change Campaigns. For more info on these volunteer roles, call 773-794-1313. 5 large car seats (by law, car seats must be less than 7 years old ) for 20 to 40 lb. The families who receive these items are grateful for your generosity. For drop off address or schedule pick-up, call 773-794-1313. SPRED (SPecial REligious Development) is a small community of adults who share their experiences of faith with each other and with friends who have cognitive and emotional disabilities. The SPRED Community at SCL needs two new catechists. If you’re looking for a new volunteer opportunity in this new year, please consider becoming a SPRED catechist. We meet on Thursdays from 6:00 to 9:00PM. It will be an experience you’ll cherish with people who will cherish you! If you’re even a little bit interested, please contact Madelynn at 847-724-6338 or macur.brousil@gmail.com. Our neighboring parish, St. Isaac Jogues shows free movies on the second Friday of each month at 7:00pm. The films are either religious in nature or ones that help lift the human spirit. Admission, popcorn and soda are all free. Through the “Invest in Kids Act,” Illinois children from low- income households who want to attend private schools will have access to new scholarships. The scholarships offered through this program could cover up to 100 percent of tuition and eligible fees for next school year. Below is more information about how to apply and details on eligibility requirements. To learn more, visit archchicago.org/tcs or contact the Archdiocese at investinkids@archchicago.org or at 312-534-5321. The Friends First Program of Mercy Home for Boys and Girls is a one-on-one mentoring program for youth ages 9-17 in the Chicago area. The purpose of the program is to engage young people in fun, meaningful activities that promote healthy personal and social development. To learn more about becoming a mentor, call the Friends First Program at 312-738-9560 or visit mercyhome.org/mentor. "Do you play an instrument or like to sing? The contemporary ensemble is looking for "a few good men/women" to join us in leading the congregation in song on Sunday mornings at 11:00am. We rehearse at 7:00pm on Wednesday evenings in the church. 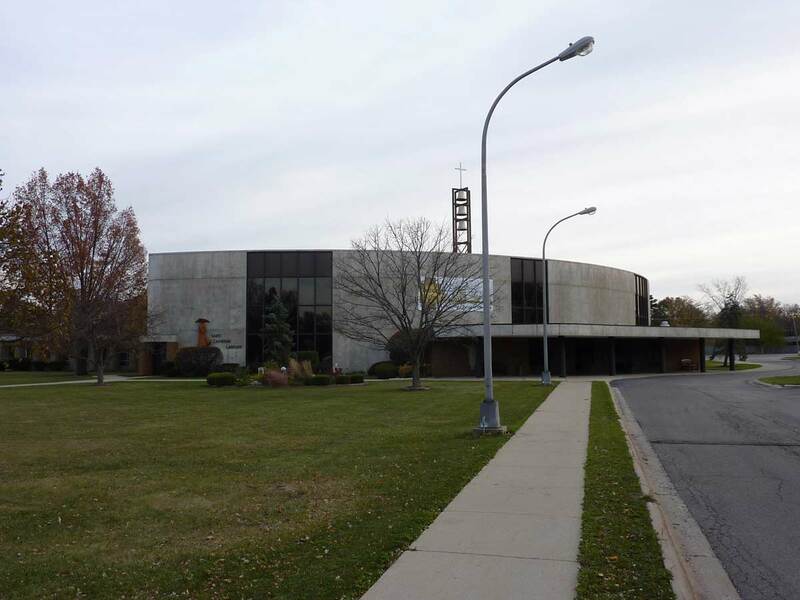 For additional information, please contact Julie Ratschan at 847-498-30 64, or meet with us at the front of church after the 11:00am Liturgy on Sunday.